Supporters of the Derail the Jail Coalition attended the Dane County Board meeting Wednesday to speak out against a current proposal to earmark $76 million for renovations and construction of new jail facilities. Derail the Jail Coalition is an organization made up of community groups such as Freedom Inc. and Affordable Housing Action Alliance that encourages alternative options for jailing. 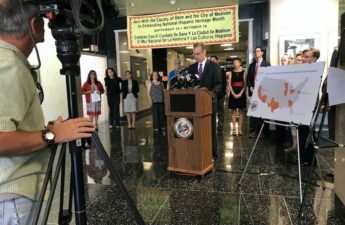 The millions of dollars required for the proposed jail construction, which reaches $108 million with interest over 20 years, is nearly 25 times as much as Dane County’s annual spending on affordable housing, according to a petition handed out by the coalition. University of Wisconsin graduate student Edward Basso said if Dane County were to burn all of the money that was going to be put into the jail, it would be a better use of money than building the jail. 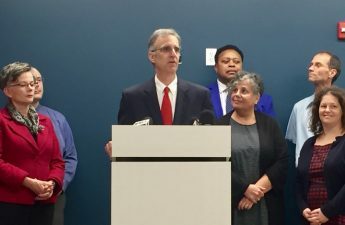 “[The jail] just creates more incentive to lock people up, especially minorities, and promotes more racial and economic inequality,” Basso said. Dane County is known to have one of the worst achievement gaps in the nation, and in Madison, specifically, black people are arrested at a rate of ten times more than white people, according to the Wisconsin State Journal. 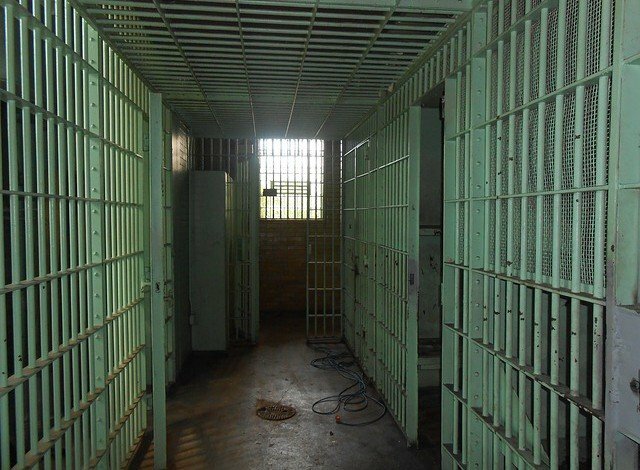 Because of these racial and socioeconomic disparities, Derail the Jail pushes for proposals such as Amendment HHN C-1, which calls for the construction of restoration centers as an alternative for individuals with mental illness or addiction issues entering the jail system. Community member Becky Schigiel said the jail is an “intentional choice” to keep the system of racial and socioeconomic disparities. Construction of a new jail was originally proposed because of deteriorating health and safety conditions in current facilities, according to an info sheet given out by the coalition. But, the coalition proposes that Dane County use tax dollars to invest in community-based alternatives to incarceration, according to the info sheet. Heidi Wegleitner, County Board District 2 Representative said Dane County should think about all of the alternatives to the jail before approving the construction.